Clun is a small town in Shropshire, named after the river Clun that runs through it. 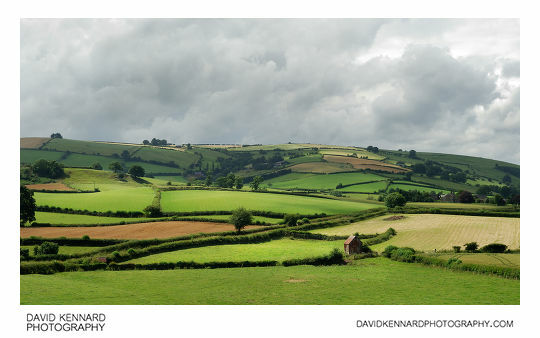 There has been a scattered population around the area of Clun at least as early as the Neolithic period, about 5000 years ago, however the current settlement of Clun grew up near the end of the 7th century, around the site of the Saxon church there. There is quite a lot to see in Clun, however we only stopped there for about half an hour to see the castle ruins. For information on all the other attractions in Clun, see the Clun Heritage Trail leaflet. Clun Castle was built around 1140-50 by the Norman Marcher Lord Robert de Say (sometimes known by his nickname 'Picot' de Say). Like many castles, it was modified numerous times and passed through various owners throughout its history, but is today just a ruin. All that is currently left of the castle is the Great Tower and a piece of wall (both of which were added to the castle at later dates). For more information on the castle, the Castles of Wales website has a lot of info, and pictures of the Castle ruins not surrounded by scaffolding - Clun Castle. The remains of the Great Tower (the main part of Clun Castle that is still standing today) were covered in Scaffolding, so I didn't really take any photos of the actual Castle structure. The Castle is located on top of a steep Motte, so instead I took photos of the surrounding countryside from the Motte. 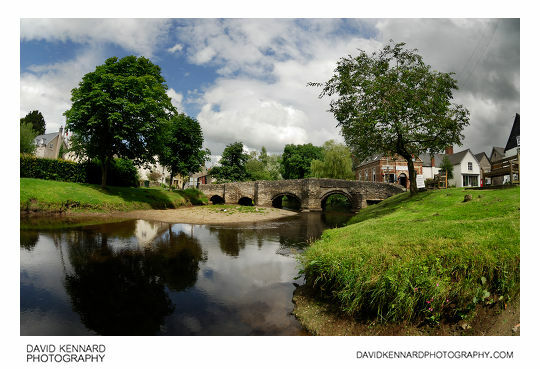 Just outside the Castle car park is Clun Bridge, a medieval packhorse bridge. Despite dating from 1450 and only being wide enough for one vehicle to cross at a time, the bridge is frequently used by vehicles today - both the A488 and B4368 run across the bridge.